If your subscribers don’t feel a sense of loyalty to your brand, there’s no way you’ll keep their attention. No one wants to churn through subscribers at lightening speed. Ideally, as business owners, we want to build long term relationships that center around top of the line offers and campaigns. If you’re not providing this kind of value, you might as well kiss your subscribers goodbye. 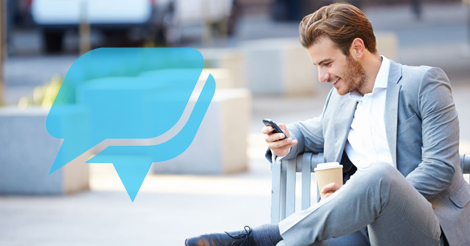 Here are a few of our SMS marketing features that help increase subscriber loyalty. Fire out unique promotions on your subscriber’s special day. Make sure this is a free gift. The worst thing you can do is ask customers to spend money on their birthday and then mask it as a “gift.” Investigate your bottom line, and pick a birthday offer that is doable, even in your slowest season. We recently launched this new feature, which allows you to set scheduled campaigns for a certain number of days, months, even years out. How does this help increase subscriber loyalty? If you can schedule out drip campaigns in advance, you can make regular touchpoints with the subscribers, which ultimately enhances brand awareness. You now have the ability to add first name, last name, or any other unique identifier to your campaigns. Make your subscribers feel special with personalized messages. It really seals the deal, especially when it comes to offer redemption. Grow your business with our SMS marketing solutions. Give us a buzz at 1.800.688.6290 to learn more, or head over to our pricing page and sign up for a free plan. We love seeing our customers experience success using our solutions. Our feature rich platform kinda makes SMS marketing success a cakewalk. Keep in mind, obeying best practices is crucial to success. If you fail to recognize the importance of basic compliance, you won’t see remarkable growth.